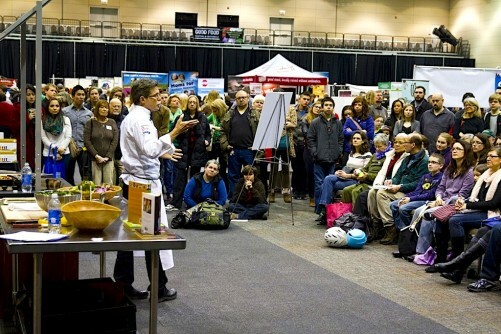 FamilyFarmed is proud to share the first installment of our new Good Food Insights series in partnership with New Hope Network, producer of industry-leading annual events that include the Natural Product Expos (West and East) and the Esca Bona thought leadership conference (which is the platform for the Insights series). This series of articles that will unpack the dynamics driving Good Food. In coming months this series will feature portraits of the national Good Food landscape and individual industry sectors, and we will continue to back those insights up with facts provided through our partnership with SPINS, the leading provider of retail consumer insights, analytics reporting and consulting services for the natural, organic and specialty products industry. 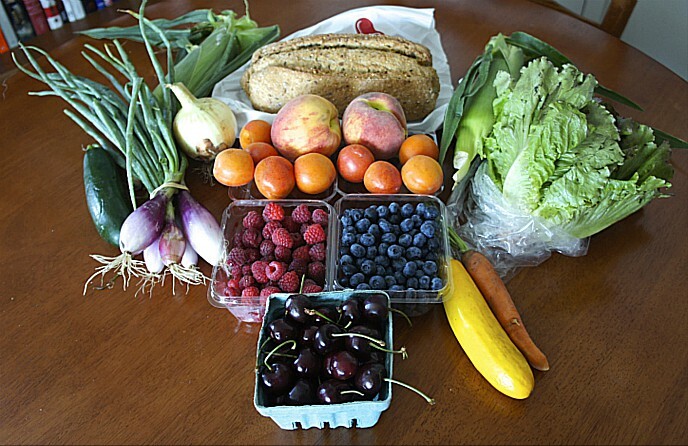 This first Insights article, first published by New Hope Network on May 3, discusses the multiple definitions of “Good Food” and FamilyFarmed’s work with national experts to develop a consensus definition. FamilyFarmed — our advocacy nonprofit in Chicago — works to bring all these perspectives together into an aligned definition of Good Food. Our starting definition was this: Good food is food produced as locally as possible using sustainable, humane and fair practices. These conversations produced a framework of a Good Food definition that focuses on four common themes that encompass areas of “health.” These are human health, environmental health, economic health and social health. 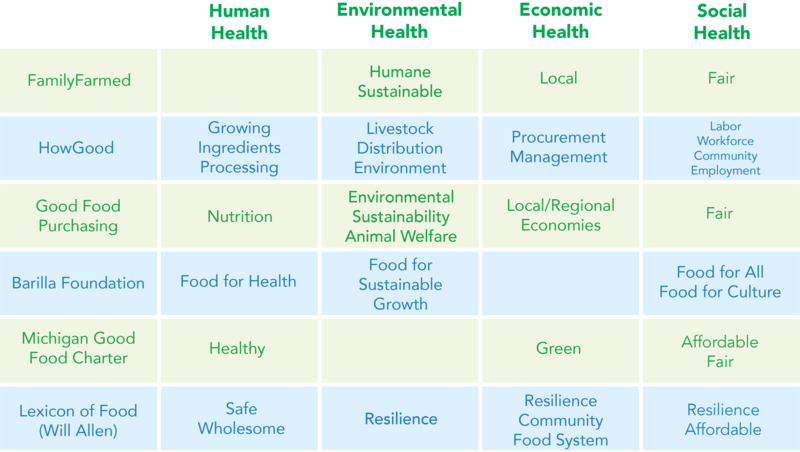 The chart below shows how the commission sees the emphases and nuances of the existing definitions — from the Center for Good Food Purchasing, the Michigan Good Food Charter, the Barilla Foundation, the Lexicon of Food and HowGood — fitting within the grid of these health categories. In our next article, we’ll take a look at Good Food consumers—who they are and what motivates them to seek and migrate toward Good Food. Your feedback is welcome. This entry was posted in Uncategorized and tagged Esca Bona, FamilyFarmed, Natural Products Expo East, Natural Products Expo West, New Hope Network, SPINS. Bookmark the permalink.